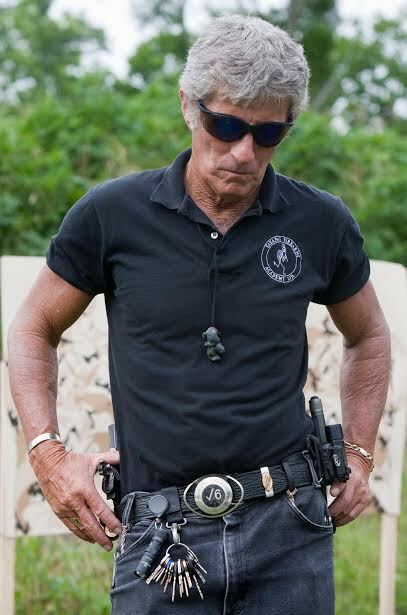 Years back, I read an essay that Louis Awerbuck wrote about, “planning your range time.” This was in the 90’s or early 2000’s, LONG before Todd Green or anyone was working out the logistics of practice or range work and writing about it on the internet (check out, “pistol-training.com” for more great drill/training/learning information). Awerbuck wrote about, “budgeting,” a certain number of rounds to your practice session, and not exceeding that budget, even at the expense of ego. Meaning if you end your session on a sour note, that note was earned, and served as a model of reflection, as far as what you can improve on. Thus, today’s range session, in Louis Awerbuck’s honor, was 100 rounds of 115 grain 9mm CCI Brass, consisting of 10 yard-single-shot-from-the- concealed draw-with-2.5 second par time drill (from Pat McNamara) and 10 yard Bill Drills (which is 6 rounds, from the concealment draw, with the starting position in either the, “hands up,” surrender, or hands at the side). The Bill Drill, while normally fired at 7 yards, was instead fired at 10 yards, which seemed like a logical building block from the previous McNamara drill. And, of course, 100% accuracy is the goal. I have no idea what a good time is for a, “Bill Drill,” but I think 100% accuracy and sub 5 second time would be a respectable performance for regular folks. I’m just trying to improve, so this gives me a good baseline. 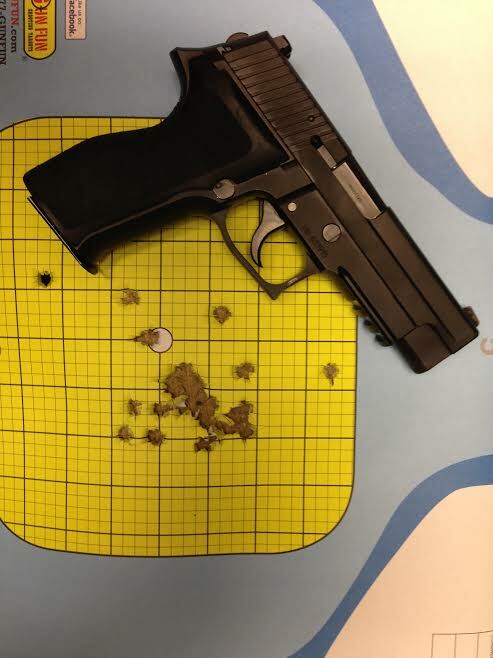 SiG-Sauer P226R DAK. Great gun, carries in a Dale Fricke Archangel Appendix Rig nicely, and it IS reassuring having the ability to reholster with my thumb on the hammer bump, to mentally and proprioceptively KNOW that there is nothing impeding a safe reholster (like a zipper, t-shirt, jacket pull, etc). The DAK trigger, to me, reminds me of a revolver, but with the ability to shoot from trigger reset (albeit a LONG reset). It’s an easier pull to let the trigger go past the reset, and pull it from it’s full length, though. It takes a couple of mags to get accustomed to, but it is easily conquerable. CERTAINLY much easier than the NYPD DAO 226’s… Split times are appreciably slower, but that’ll improve with time, no doubt. REALLY digging this shot timer app for the iPhone, appropriately called, “Shot Timer.” It is VERY portable (duh) and has all of the features that my PACT Club timer has. A Go-Pro is on my shopping list, so once I have that, I will be able to post videos of these drills along with the timer progress. 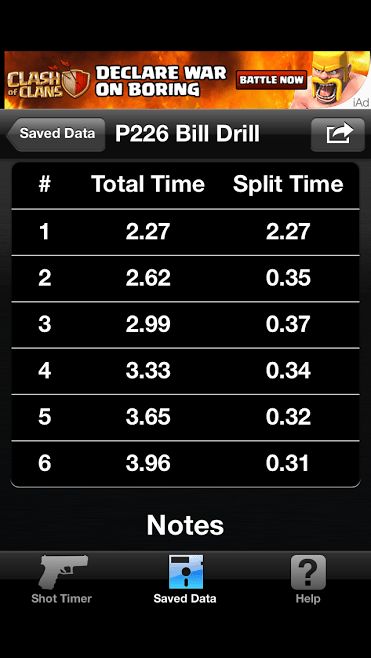 I really recommend that any serious student of defensive pistolcraft use a timer to chart their own progress. It seems that all too often, we are FAR more awesome (or awful) in our head’s than we are in, “real,” life. The timer reinforces progress and reflection…it’s very humbling! RIP, Louis Awerbuck. Thank you for the information, and the lessons. You will live on, through your teaching, writing and your students! Previous Article THE GLOCK 19…THE 21st CENTURY’S K-FRAME? Excellent article and tribute doctor.